Olympia beekeeper Kellie Shincke with one of her top bar hives. Photo by Jennifer Crain. The window in Kellie Shincke’s yellow-walled breakfast alcove looks out on a yard that was “ahum with bees” in her childhood. The land back then, a larger swath than Shincke’s current backyard, was brought to life by her great-grandmother, who planted all the fruit trees. But Shincke says by the time she moved into her great-grandparents’ house twenty years ago “it was basically like Silent Spring.” There were hardly any honeybees. That changed five years ago when Shincke started beekeeping. Now she enjoys bountiful fruit harvests and the neighbors hardly bat an eye anymore when a hive swarms into one of their trees. There are reasons to maintain a backyard hive beyond access to honey, and the worldwide plummet in honeybee numbers is the most compelling. The threat to honeybees has negative implications for crops and plant species around the globe. 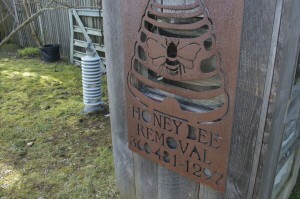 The good news is that the increased public awareness of the honeybee problem has led to a rising popularity in backyard beekeeping, including in Thurston County. Nothing could be better for the struggling bees than more places to call home, Shincke says. Bees are suffering colony collapse disorder at alarming rates. The phenomenon likely results from a combination of factors including the use of pesticides, especially those containing neonicotinoids. Hives also face a deep threat from pests such as mites. Other factors include a loss of habitat and decreasing genetic diversity. A recent study found that in the past five years alone, the Northwest has lost two species of honeybees. “We’re just discovering what genetic diversity we do have – what’s left,” Shincke says, referring to recent studies tracking the species of both wild and cultivated honeybees. All of this underlines the importance of supporting bee health. To do that, bee society needs two things: more hives and more pollen. A Warre honeybee hive. Photo by Jennifer Crain. 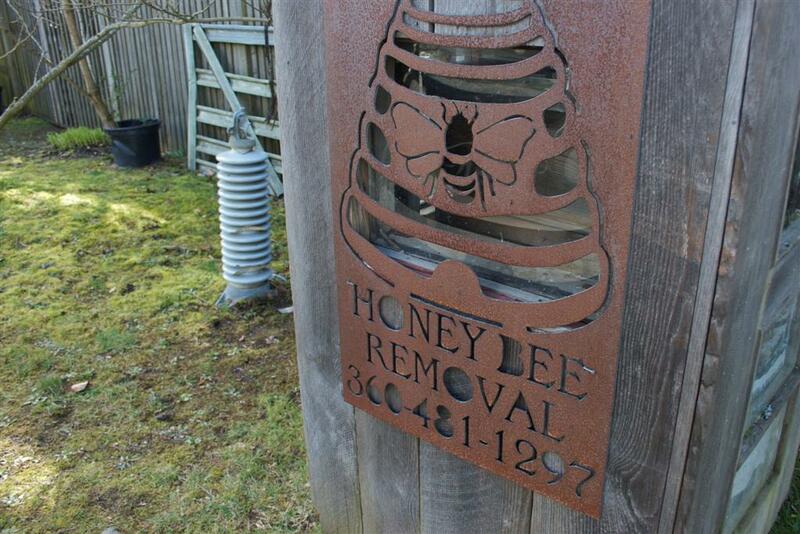 Now is the best time to start a hive. 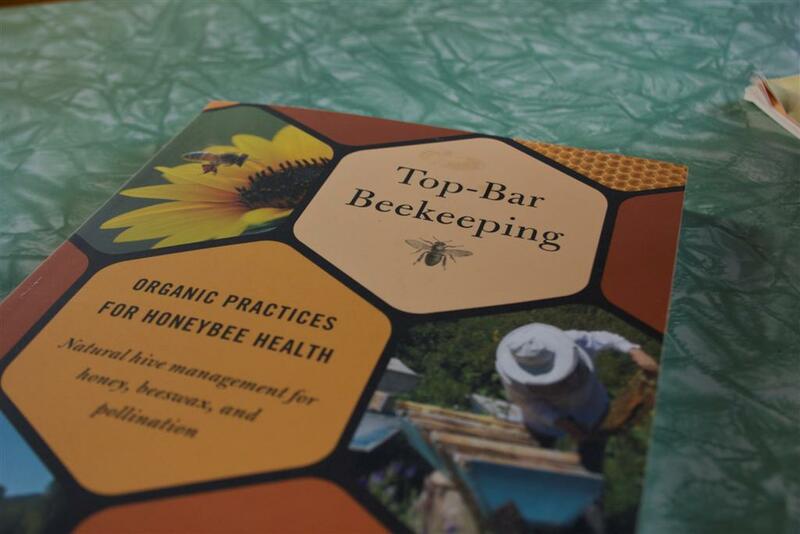 Begin by contacting the Olympia Beekeepers Association to order bees. 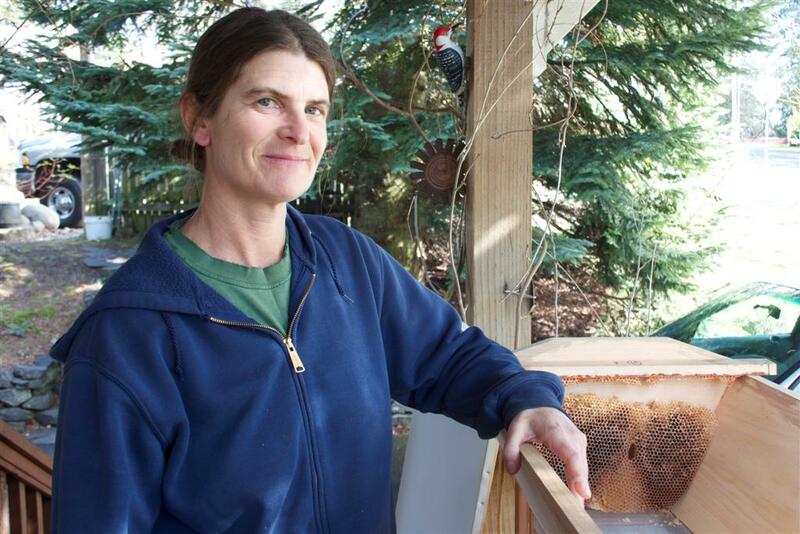 Because of chilly Northwest temperatures, there are only three queen breeders in Washington State so bees come primarily from California. Once the bees are ordered, decide on the type of hive that best fits your needs. Langstroth. This is the classic box hive. These are good for commercial harvesters and for individuals who are willing to harvest a lot of honey at one time. The harvesting process is easier than the others but requires a centrifuge. To harvest, the seals must be broken and the entire hive disrupted, requiring collection to take place when it’s at least 80 degrees outside. Top bar. Shincke calls this the “down-and-dirty, anybody-can-build-it kind of hive.” Honey is harvested one frame at a time, yielding about two quarts of honey at once. Frames are lifted from the back of the hive, leaving the queen and the majority of the hive undisturbed. 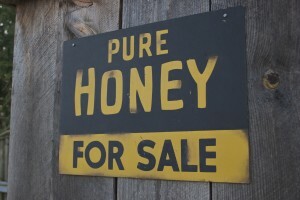 Shincke recommends this hive for individuals. Once you’ve acquired a hive, decide on a location. This is the most important decision since bees have an uncanny sensitivity to locale. 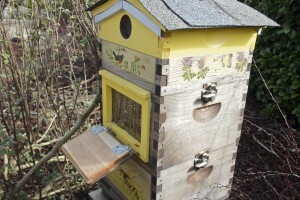 She adds that placing a hive in the full sun is best in our region. 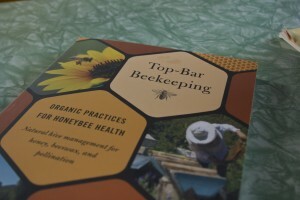 Beekeeping books advise that hives be situated to get afternoon sun only, but this set-up makes it too cold for bees to make cleansing flights following long periods of confinement during cold weather. 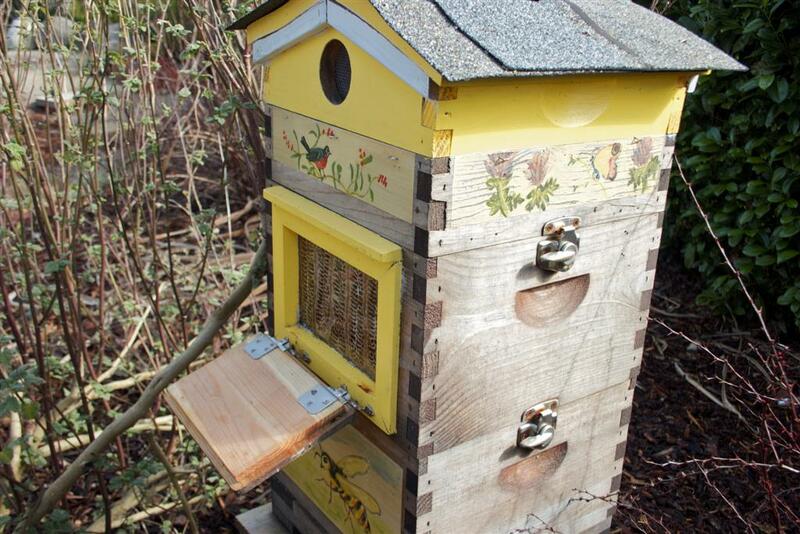 To set up your hive once the bees arrive, contact the Olympia Beekeepers Association to get information and support. One of the best ways to become a friend to bees if you don’t have a hive of your own is to purchase plants from the pollinating section of a local nursery. Include flowering plants in your landscaping and mix flowers with your vegetable garden to encourage visits from honeybees. Clover is no longer included with standard grass seed but you can sow some in yourself. The small white flowers will decorate your lawn as well as providing a nectar source for the bees in our area. To that end, there’s an ironic tension between foes of invasive plant species and the beekeeping community. Bees love a number of noxious weeds and depend on some of them for nectar flows during times of the year when little else is blooming; dandelion supplies one of the earliest sources of nectar in the season, Japanese knotwood one of the latest. Whether you let the dandelions go or dig them out of your lawn, there’s one thing everyone can to do to be a bee friendly citizen: call immediately if you see a swarm. Calling before a swarm settles indoors is imperative, Shincke says. It will save your walls and keep you from further trouble – more bees are likely to settle in if they smell that bees have been there before and the prior presence of bees can attract rats. The beekeepers association has a swarm list available on their website. Contact Olympia Beekeepers Association through their website. Call Kellie Shincke at (360) 481-1297 or see photos of her catching swarms at Working Girls Urban Bee Company on Facebook.